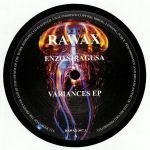 Review: There's minimal house goodness aplenty from this latest release on the Fuse imprint, with top dog of the outfit Enzo Sirgausa linking up with long-standing French champ Alexkid for three surefire club rockers. "Kilimanjaro 2" gets busy with its shuffly beat and wobbling sub bass, but there's still room for a blissful breakdown rich in sweeping pads and vocal licks. "Kilimanjaro 3" follows a similar groovy tact, with a more punchy bassline adding to the cheeky bump of the cut to great effect. Then "Kilimanjaro 4" rounds things off with a more spartan effort that places all the low end thump on the kick and keeps the top end percussion more delicate and poised for a different kind of effect in the heart of the night. 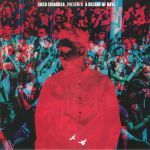 Review: Enzo Siragusa is no stranger to collaboration, having previously released studio hook-ups with the likes of Alexkid, Subb-An, Nima Gorji, Archie Hamilton and Seb Zito. Here German veteran Martin Buttrich joins the London-based FUSE regular for a tasty three-track hoedown. 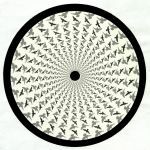 They hit the ground running on A-side "Dangerman", a formidably funk-fuelled chunk of bouncy tech-house rich in trippy minimalist vocal samples and undulating TB-303 bass. 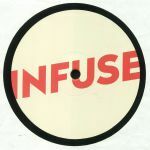 Flip the record and you're greeted with "Lifted Spirits", where meandering choral style vocals and razor-sharp acid lines dance across a foreboding groove, before Siragusa and Buttrich round off proceedings with the heavy, feverish Afro-house/tech-house fusion of fine EP closer "Apache". Get on it (the record, we mean).